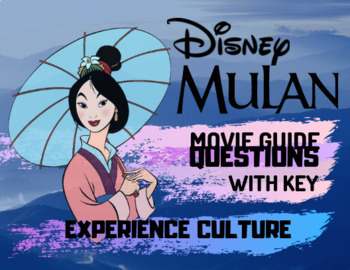 Allow your students to watch Disney's Mulan while experiencing culture and answering meaningful questions that all pertain to accurate cultural depictions. Through these questions, students are engaged in retaining factual information as well as opinion and critical thinking based questions. This activity also comes with a detailed and fact-based KEY!